Measles cases have tripled in the EU in just one year. 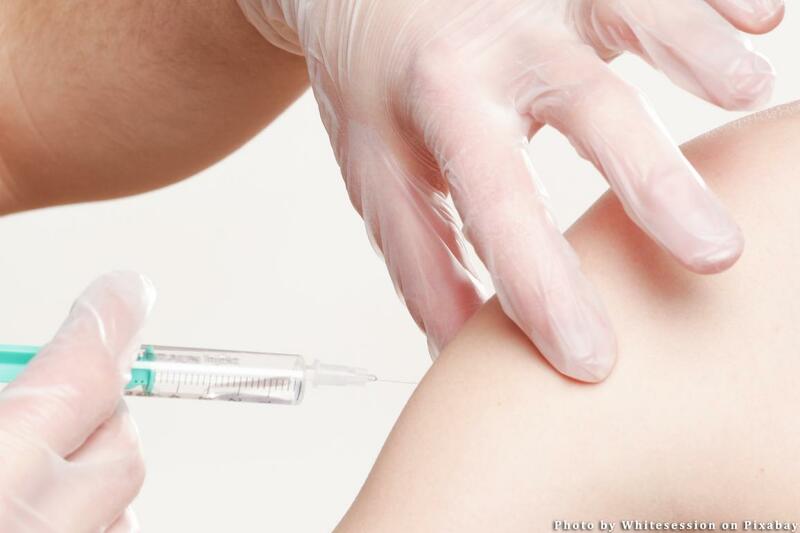 MEPs are concerned about how lower vaccination rates will affect public health. What do smallpox, poliomyelitis, measles, mumps, varicella have in common? They are some of the diseases that can be prevented by vaccines, which have killed and left millions of people with severe complications, including blindness and paralysis, over the years. Thanks to widespread vaccination, smallpox has now been eradicated and the same is expected to happen to polio soon, if current efforts are sustained. Other diseases are still out there, but their reach was limited by immunisation, like with measles. Before the introduction of the vaccine in the early 1960s, measles - a highly contagious virus spread by air or infected surfaces - killed 2.6 million people every year. In 2016, it caused the death of 89,780 people, which is the lowest number of fatalities caused by measles until now. Vaccination continues to be one of most important tools for public health. It saves two to three million people every year and if coverage was increased, then vaccination would prevent another 1.5 million deaths, according to the World Health Organization. Although measles cases and deaths are decreasing in the world, in 2017, 14,451 cases of measles were reported in the EU, three times as many as in 2016 (4,643). The two countries with the highest number cases were Romania and Italy, according to the European Centre for Disease Prevention and Control (ECDC). In 2017 87% of cases involved unvaccinated cases. Over the last two years 50 people died in the EU because of measles. On 19 April, MEPs adopted a resolution expressing concerns about Europe's insufficient coverage rates and its impact on public health. The difference in immunisation rates between EU countries are due to different national policies on vaccination, increasing prices of vaccines and the refusal of vaccines. In the draft resolution, MEPS call on the European Commission to facilitate a more harmonised schedule for vaccination across the EU and to increase its support to national vaccination initiatives. They also welcomed plans for EU countries to buy vaccines together, which should make them cheaper. MEPs are especially concerned about people´s refusal to be vaccinated or have their children vaccinated. “Too many parents elude vaccinations and several infective diseases are re-emerging,” said Italian S&D member Elena Gentile, one of the authors of the resolution, following the vote by Parliament's public health committee in March. People avoid or refuse vaccines due to perceptions that vaccines are not important as decades of widespread vaccination have made its benefits invisible in Europe, that they aren´t safe or they have dangerous side effects. Although multiple scientific studies have found no link between the MMR vaccine and autism, these false claims are still repeated on websites, forums and social media. "Our vaccines are absolutely safe. There is a lot misinformation going around claiming those vaccines make people ill, but that is of course nonsense, a dangerous nonsense,” said German EPP member Renate Sommer, who is one of seven MEPs who wrote the resolution. In the resolution, MEPs welcomed the Joint Action Plan on Vaccination to fight people's reluctance to be vaccinated. They also proposed several measures to make the evaluation of safety of vaccines more transparent and called for more communication and awareness campaigns to fight false information on vaccination, especially online. The Commission is expected to present measures for cooperation on diseases that can be prevented by vaccination before the summer.